Investigations into the case revealed that Arora was blackmailing 55-year-old Yagnik for long and also demanding Rs 5 crore, failing which she had threatened to implicate him in a false case. BHOPAL: Cops from Indore are searching for a 40-year-old woman journalist Saloni Arora, whose alleged extortion threats had prompted Dainik Bhaskar Group Editor and senior journalist Kalpesh Yagnik to commit suicide in his office premises on July 12 late night. The MIG police in Indore had on Friday night registered a case against around 40-year-old Arora under Sections 306 (abetment of suicide), 386 (extortion) and criminal intimidation (503) of IPC after sustained investigations into the July 12 incident. She has also been booked under the provisions of the Information and Technology Act. "Multiple teams have been constituted in the case and sent to various locations outside Indore to track the accused woman," said DIG Indore Harinarayan Chari Mishra on Saturday. According to sources in Indore police, teams have been sent in search of Arora to Mumbai, Delhi and other cities. Besides, a team is also searching for her in MP's Neemuch district, which is her home district. Investigations into the case revealed that Arora was blackmailing 55-year-old Yagnik for long and also demanding Rs 5 crore, failing which she had threatened to implicate him in a false case and put over social media platforms her conversations with the senior journalist. Arora, who worked with the premier news organization at its Indore office for long was later transferred to Mumbai in its film and entertainment section, but sacked in October-November 2017, a senior Indore police officer told The New Indian Express. After losing job, Arora had allegedly started demanding money from Yagnik and was also pressurizing him to exercise his clout to reinstate her in the news organization. Five days before his death in Indore, Yagnik had met with a senior police official in Indore and handed him over a detailed letter, submitting that Arora was troubling him and pressurizing him to get her reinstated in the group again. In the letter, Yagnik had also mentioned about the woman journalist threatening to frame him in a false case. On July 12 late night, Yagnik was found lying unconscious on the floor of the three-storeyed building of his news organization, after which he was rushed to a nearby private hospital, where his life couldn't be saved despite prolonged efforts by doctors. 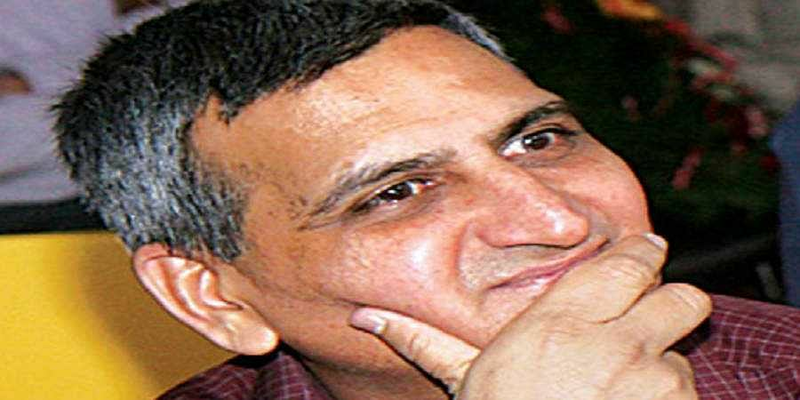 The autopsy report of the senior journalist's body revealed multiple fracture injuries in various parts of his body. Subsequent on the spot investigation by the police and analysis of circumstantial evidence suggested that Yagnik had committed suicide by jumping from the top floor of the office building. "We waited for the deceased journalist's kin to get back to normal and then started recording their statements, based on which the criminal case was registered against the accused woman on Friday night," the DIG Indore added.